This was a relatively large order but since I'm only cutting and shaping the sliders it didn't take too much time. 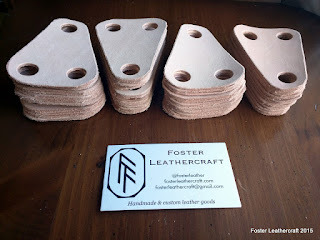 They'll head out today and within a week I expect they'll arrive, ready to be stamped and stained by some scouts. It's a pretty good deal all 'round.